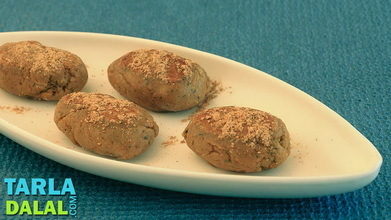 A vegetarian adaptation of the galouti kebab. 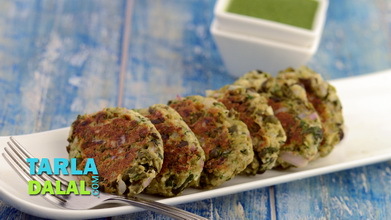 The specialty of a galouti kebab is its ability to completely melt in your mouth and this makai galouti kebab does just that. 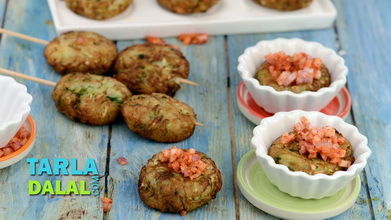 Adding paneer gives these kebabs a great creamy texture and the potatoes help in binding. Make sure you finely chop and brown the onions well before adding to the mixture since this gives the kebabs an unmatched flavour. 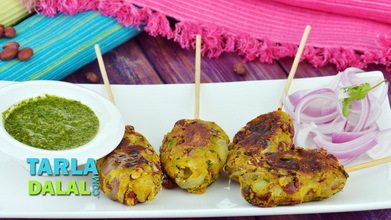 Serve steaming hot galouti kebabs with hari chutney. 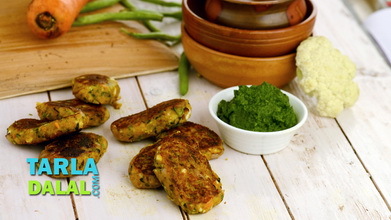 Heat the ghee in a kadhai, ginger-green chilli paste and sauté on a medium flame for 30 seconds. Add the onions and sauté on a medium flame for 4 to 5 minutes or till they turn brown in colour. 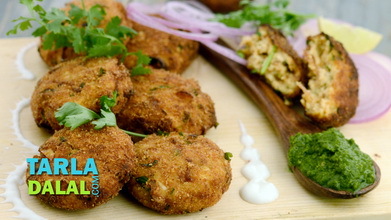 Add the sweet corn, paneer and potatoes, mix well and cook on a medium flame for 1 to 2 minutes. Add the salt, turmeric powder and garam masala, mix well and cook on a medium flame for another 3 to 4 minutes. Add the coriander and mix well. Keep aside for 5 to 7 minutes to cool completely. Divide the mixture into 6 equal portions and roll each portion into a 50 mm. (2”) diameter flat round. 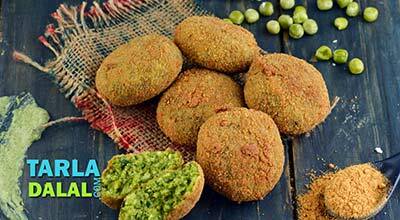 Dip the kebabs in the plain flour mixture and roll in the bread crumbs till they are evenly coated from all the sides. 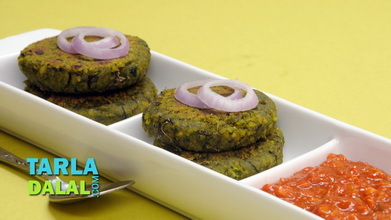 Heat the oil in a deep pan or kadhai and deep-fry the kebabs till they are golden brown in colour from all the sides. Drain on absorbent paper.